Jim and I started the clean-out of Dad’s house when he entered the Veteran’s Home two years before, but we knew it would take a while. Now the situation was serious. The realtor told us that it needed to be completely empty to sell. Dad had taken up new residence in the Veteran’s Cemetery. His spirit had traveled off, completely shedding all his earthly possessions. The family had gone through the old home, selecting keepsake items. We had carefully boxed up letters, documents, and family histories. It was time for the estate sale. We walked through the rooms once more. Maybe we could fit one more piece of furniture into the back of our car. Our children had already loaded their cars with the extra “stuff” we thought valuable when they had traveled home from the funeral. A knock at the door interrupted our conversation. It was an older sister, a long-time friend of both our families, Sister Snow. She said she wanted to see the house one more time, and maybe she would select something to take home, just for remembrance. Her eyes took in the red, white and blue wallpaper in John’s old bedroom. “I helped put that paper up,” she told us. She picked up a spoon from the worn silver in the dining area. “I think I want this,” she said. I had considered the old chair in the master bedroom. It had pink upholstery, my color. 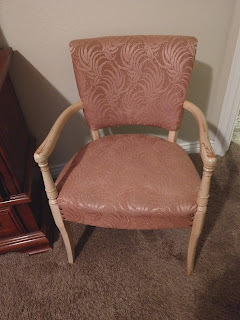 But the paint was worn out on the arms, and the chair’s seat sagged a bit. I passed it by. But Sister Snow didn’t. “The Relief Society chair!” she exclaimed. “This chair came from the Boulder City Ward Relief Society room where both your mothers’ attended every Tuesday morning.” She examined the chair more closely, smiling at her memories. “There were only three with arms like this,” she told us. “Your mother, Rose, got this one when they replaced the chairs in the room with the standard Church Relief Society chairs,” she said to Jim. “I absolutely insist that you take this home with you,” she said. Her insistence was unnecessary. I, too, was remembering. I remembered how nice the Relief Society room in the Boulder City Ward church was. There was even a small bathroom immediately adjacent to the room. Nothing but the best for the Relief Society sisters. I’m sure those were the thoughts of both bishops involved in the building of that chapel, Jim’s dad first and then my father. As youth, we were forbidden to take food or drink into the room, and we treated it with reverence. Suddenly the chair looked wonderful to me. The saggy seat and imperfectly preserved paint on its arms seemed to hug me as sat in it once more. 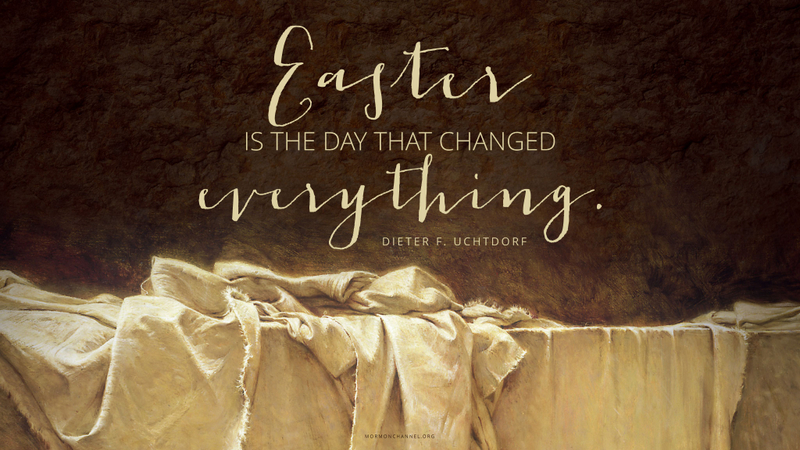 I remembered our mothers’ faithful attendance in Relief Society, and our fathers’ respect for the valiant women of our ward. The Relief Society chair has a treasured place in my own bedroom now. I think I’ll sit there and reminisce a bit on Mother’s Day this year. I made this video March 1, 2017 to celebrate finding Animoto. Today I worked on it a little more with my year's worth of experience. It's really just for me. RootsTech 2017 was when I first purchased the Animoto video program. It had been my heart's desire to be able to put a video together ever since my daughter died in 2005. She was an expert at videos and it was one of the things I had sorely missed since she left us. I stood in the Expo Hall of RootsTech, transfixed, as a woman demonstrated it to me. As I stood there, the short video she was making was rendered in a few minutes. I remembered my deceased daughter Rachel at the high school all night long, rendering her beautiful videos. Suddenly Rachel was there beside me in spirit, encouraging me to "Go for it, Mom." Unexpectedly, my frugal hesitant self didn't care how much it cost. I asked the salesperson if even an old woman like me could learn it. "Yes," she replied. July, 1981: I was happy and grateful to finally have my mom living close by. I planned to ride my bicycle to visit her across town since I didn’t often have a car available. But baby Nathan was a wiggly two-year-old, and I worried about putting him on the back for that long ride. Still, my husband Jim was home for parts of the summer, and he took over some of the childcare along with my older children. Carl was 12 and Anna 11. I considered them nearly grown and well able to supervise Mark, 9; Amy, 7; and Rachel, 5, as well as the baby. My handicapped son Andy was once again living in the Developmental Center, and that relieved me of his constant care. I made as much time as I could to spend with my mother. 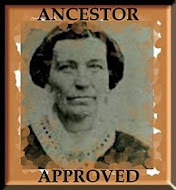 We were working together on a history of her great-grandfather, Asmus Jorgensen, and her own history, pre-marriage. 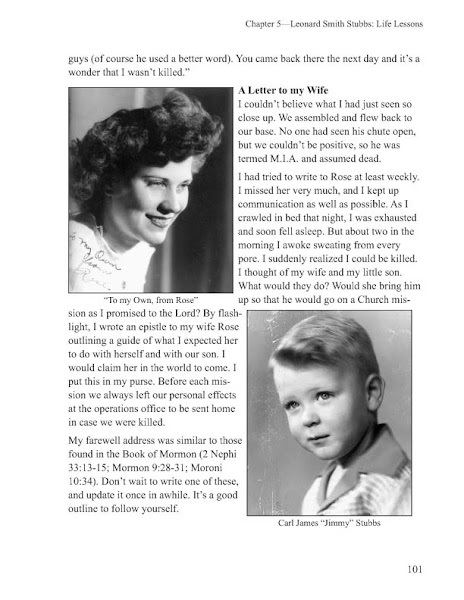 Earlier that summer, when Dad first brought Mom to Orem, he dropped her off at my house. Then, wonder of wonders, Dad put earnest money down on a house just a block away from us. I had worried constantly about my mother’s health, and the wish I had to be close enough to check on her every day was finally fulfilled. Dad went back to Logandale to finish their move. Mom stayed in my bed since Jim was working out of town, river running. In fact, the pain of her arthritis made getting out of bed nearly impossible for her. The six-hour trip north from Nevada had been made lying in the back of their van. My memories of those days are mixed. My heart was bound to my mother. She was my best friend and I loved being with her. My children were our entertainment. They knew how to be quiet and not to jostle their grandma’s bed. Her smiles were their reward. Alyce, my neighbor, came and played our piano for us. Hymns, one after another, and the classics. Alyce made beautiful music from our old upright. But counterpoint to this happiness was the worry of her illness, growing worse each day. Mom was in pain, too much pain, limiting, excruciating, severe pain. We called her Salt Lake doctor, on the verge of help with her arthritis, surely. But then the surprise came. Mom had cancer. And it had spread into her bones. No wonder she couldn’t stand to have her bed touched or wrinkles in the sheets. No wonder she was unable to sit, stand or move. Even lying in bed was painful for her. An operation removed the worst of the cancer and after a hospital stay, Mom was able to come home from the hospital. Dad had moved their belongings north, from southern Nevada to central Utah. But the location of home had been changed. The house next to us was no longer an option. Medical bills necessitated temporary shelter in our old house in south Orem, conveniently vacant. Dad worked all day in the back yard there, screening rocks from the dirt. He went back to Nevada, still settling their affairs. When he was gone, I stayed all night with Mom. She wasn’t sleepy, being bed-bound all day. One memorable night she wanted to talk. I was tired, and I kept drifting off. I had worked hard in the house and yard. I had picked cherries and canned them, preparing for her winter needs that would never come. How I wish I had been able to stay awake that night. Like the apostles of old, I fell asleep and could not watch through the night with her. During that long night she asked me to find her patriarchal blessing. The living room of the small home was filled with files and boxes of belongings, but I dug through and retrieved it to read to her. “I’ve done it all,” she said wonderingly. I guess she had, though I argued to the contrary. August came, and the watch was over. Mom’s earth life was finished August 2, 1981. The months that followed seem foggy to me as I look back. Depression stalked me day after day. Our son Andy died October 4. Mom was constantly in my mind and heart. I was convinced she had called Andy home. My dad was severely depressed too, and I worried about my younger sisters. I wanted to be there for them, but he had shut me out. In January 1982 we discovered abuse in our home. My sweet young children had been victimized. The darkness seemed overpowering. Finally April dawned. 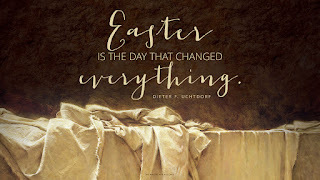 The second Sunday in April was Easter Sunday. That Easter morning my mother was once again in my thoughts. I envisioned her in her casket, where I had last seen her. But then, in my mind’s eye, I saw her open her eyes, sit up, stand. She was rising from the dead, resurrected whole and well. We embraced. The wonder of that vision stayed with me throughout the day. Later, at church, I sang in an Easter cantata. As I sang the words, “Oh death, where is thy sting? Oh grave, where is thy victory?” my heart burned within me, and my eyes to filled with tears. I felt those words. I would hear my mother's voice once more and feel her arms around me. My son, Andy, would no longer live in his small atrophied body, but would stand strong and straight and tall. I knew through Christ all wrongs would be righted and all things restored to their proper order; loved ones would be reunited and all death overcome at last. The Easter holiday gained a meaning for me that I had never seen or felt before. I celebrate this season again this year with those same words that mean the world to me. “Death is swallowed up in victory. . . . Oh death, where is thy sting? Oh grave, where is thy victory?” (1 Corinthians 15:54-55). No more. No more.